Despite troubling economic conditions over the last several years, a new study shows that buyers are still willing to pay more for ethical goods and services. 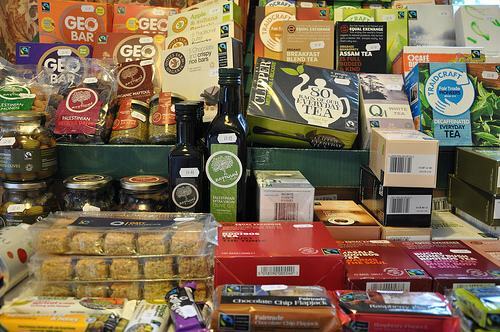 The UK’s Co-Operative produces an annual Ethical Consumer Markets Report, which shows that since the start of the recession in 2008, the market for ethical goods and services has gone from $57.7 billion to $76.7 billion. This is also quite the leap from the $21.9 billion value in 1999. The report looks into sales data from several different sectors including food, household goods, eco-friendly travel, and finance. One of the largest growing categories is sustainable fish, which has gone from $112 million at the start of the recession to $474.6 million. Fair trade has also grown significantly, from $744 million to $2 billion, and free range eggs have gone from $721.2 million to $1.287 billion. Organic produce has actually declined, going from $3.1 billion in 2008 to $2.44 billion. He also added that it is important to remember that these numbers are only a small portion of total overall sales, and that a commitment to long-term ethical sales is crucial to sustaining an ecologically minded market. How likely are you to pay a premium for ethical, fair trade goods? Does price factor in for you much?